New car makers have been popping up left and right. But instead of creating yet another Tesla-like company, German company Sono Motors is working on something completely new — a solar-powered car. That’s why I’m excited to announce that the company’s co-founder and CEO Laurin Hahn will join us at TechCrunch Disrupt Berlin. Sono Motors has been working for years on its first car — the Sion. The company now has a handful of prototypes on the road and is refining its manufacturing process to ship those cars to customers who preordered. The company is focusing on compact cars at first with the Sion. The car looks more like a Volkswagen Golf than a Mercedes E-Class. And it makes a ton of sense given that a solar car isn’t your average car. People in the automotive industry will tell you that cars remain parked for 90 percent or 95 percent of the time. While it’s hard to find the exact figure, it’s true that you don’t go on a road trip every day. Many people drive to work. It’s usually a quick ride and you just need your car in the morning and in the evening. The Sion is perfect for this. With a range of 250 kilometers (155 miles), you can usually drive back and forth quite a lot. And every day, you get an additional 30 kilometers of range using the solar panels. It might be just enough so that you never have to charge your car. But if you’re running low, you can still plug your car just like any other electric car. Many people already have a big car for weekend trips and longer getaways. In that case, the Sion can be a good second car for your errands and day-to-day drives. It could be useful for medium cities with few public transportation options. Sono Motors knows from day one that a car manufacturer needs to be a service company as well. You’ll be able to share your car with other users and get paid for it. There are many other ambitious features that I haven’t listed here. It’s clear that Hahn will have an interesting story to tell on stage at Disrupt Berlin. Building a car manufacturer from scratch sounds like an insane idea as well. 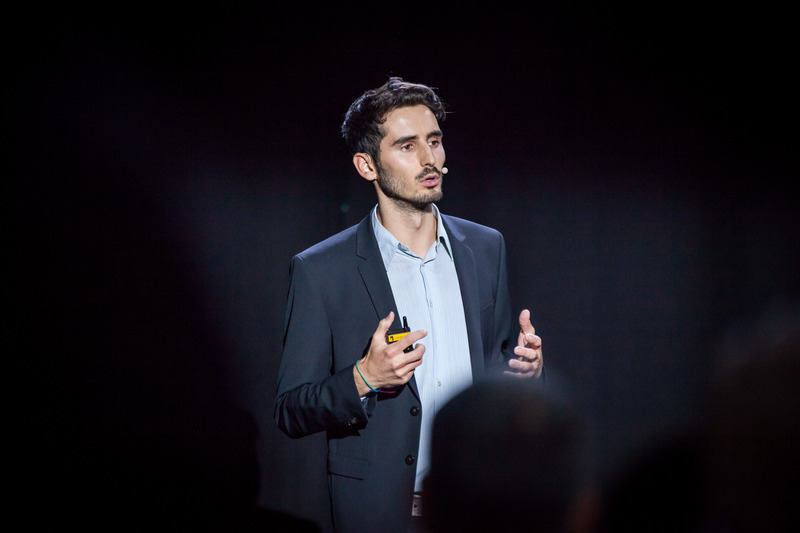 Grab your ticket to Disrupt Berlin to listen to Sono Motors’ story. The conference will take place on November 29-30.